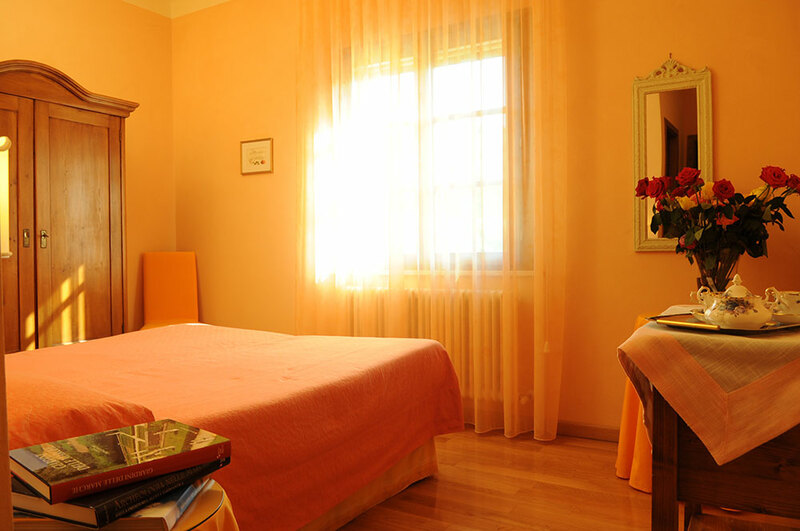 Every room of the farmhouse Agriturismo la Rosa Tea – b&b Urbino is tastefully furnished with original furniture from the beginning of the 19th century with fabrics and furnishings to match the coloured walls : one can choose from the lilac, orange, green, yellow or blue room. Every room has an en suite bathroom beautifully finished with the hand painted ceramics by the artist from Urbania Monica Alvoni. 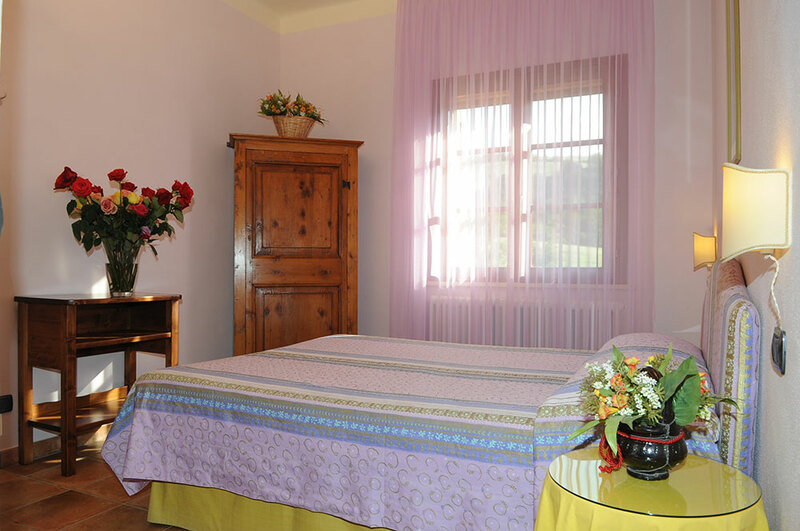 Television, individual heating, hair dryer, courtesy bathroom set and views overlooking the hills of Urbino, the marcheggiano e umbrian Appenine and the Metauro valley. Washing and ironing facilities available. 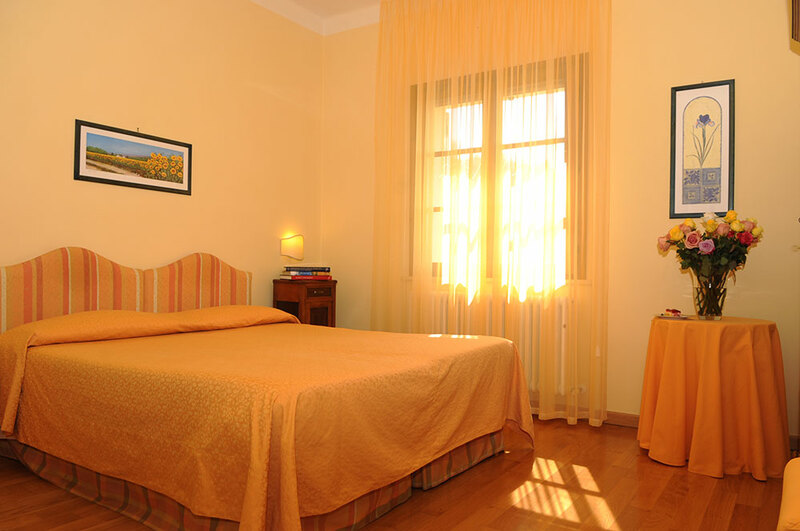 Our cancellation policy : up to 30 days before arrival no penalty will be applied ; From the 29 th to the 7th day before arrival one night's payment will be debited ; From the 6 th to one day before arrival two night's payment will be debited ; on the day of arrival or in the case of no show the full price of the stay will be debited. 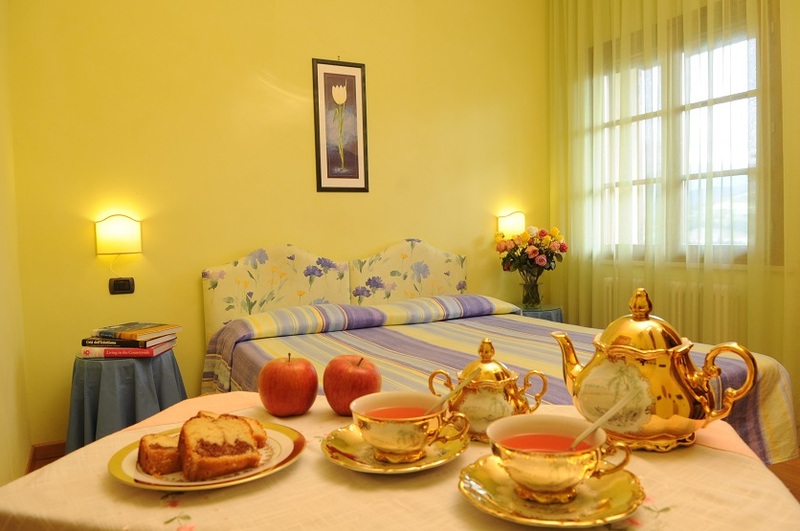 For groups of at least six people special rates can be applied.